Whether it’s the “Wagering Wheel,” the $5 martini or the cocktail “alchemist,” this Seattle stalwart makes happy hour interesting. The wheel is spinning, a patron pointed out. He didn’t mean the waterfront’s Great Wheel that you could see from the back window of Von’s 1000Spirits GustoBistro. The only spinning that matters at this downtown bar are the two cocktail wheels on the wall where the server plays Vanna and determines the fate of what all the cheapskates will drink at that moment. One by one, the wheel whirls by names of cocktails, bypassing the $5 gin and tonic and trickling toward the $4.50 Lemon Drop (“Oh, God, please don’t land there”). The crowd of Pike Place Market tourists, ferry commuters and downtown workers who throng here every week would agree. Von’s, in its previous life, was a messy martini bar on Pine Street, which locals gravitated to and the theater crowd hit before or after a show. In all of its imperfections, it had soul. In its latest reincarnation, Von’s looks like a sterile, nouveau diner that you would find in Times Square. It’s as efficient as an airport bar. Order off the happy-hour menu, and no matter how busy it gets, rest assured you won’t miss the No. 15 bus home. The salmon cake, meatballs and burger topped with fried egg were serviceable, more notable because they’re cheap and fast. Better is the pizza-of-the-day with its signature chewy sourdough crust that goes for $7, or the beer sponge that is the poutine topped with braised pork ($4). The only wizardry I witnessed was that the alchemist made my margarita taste like a daiquiri. Von’s ages its tequila in whiskey casks, and the over-oaked final product, unfortunately, threw off the alchemy of my cocktail. But you’ll never be bored here. If the Mariners game overhead is a yawner, there’s the food challenge. Get your name on its wall by finishing the $40 Monster Burger. It’s a sourdough bun with two 10-ounce patties, stacked with a grilled-cheese sandwich and topped with bacon, egg and cheddar, all the fixings and a secret sauce. Finish under five minutes and the burger is free. “I’m surprised there hasn’t been a heart attack,” said the bartender. 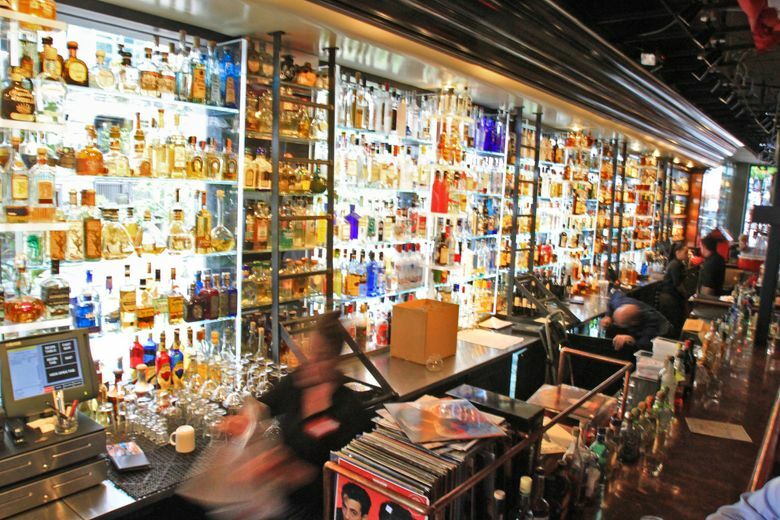 Von’s 1000Spirits GustoBistro offers happy hour daily from 4-6 p.m. and again 10 p.m.-midnight with $3.50 Manhattan, $2.50 beer and $4.50-$5 wine. Bar snacks and pizza range from $2-$7. 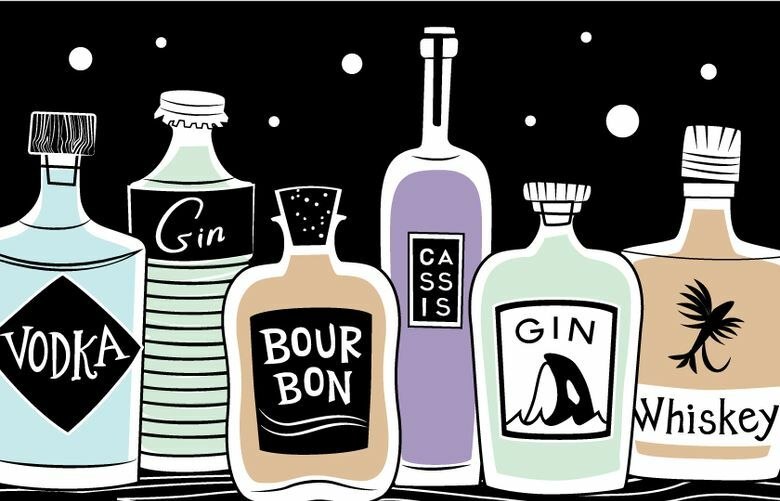 1225 First Ave., Seattle (206-621-8667 or vons1000spirits.com).